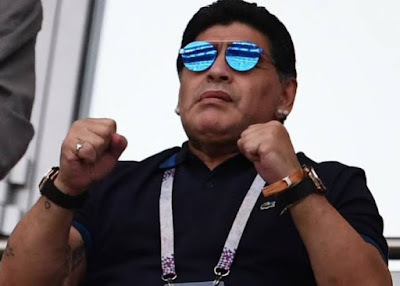 Argentina great Diego Maradona has been appointed coach of Mexican second division side Dorados. The club issued a short video on their social media channels with the messages ‘Welcome Diego’ and ‘Make it a 10’. Dorados fired Gamez on Thursday after a poor start to the season that saw them take three points from a possible 15. They sit 13th in the 15-team league. He previously had short stints coaching clubs in Argentina and the United Arab Emirates but his longest spell in charge was with Argentina, who he led at the 2010 World Cup in South Africa. He will presented by Dorados this weekend and will debut as coach on September 15 when they face Cafetaleros de Tapachula.